Huawei is betting pretty much on foldable smartphones and in a recent interview the CEO of the company's Consumer Business Group, Richard Yu, revealed Huawei's short-term expectations for the new device format. Because the foldable segment is so new, Huawei's primary focus is the recently announced Mate X, which will go on sale in June. 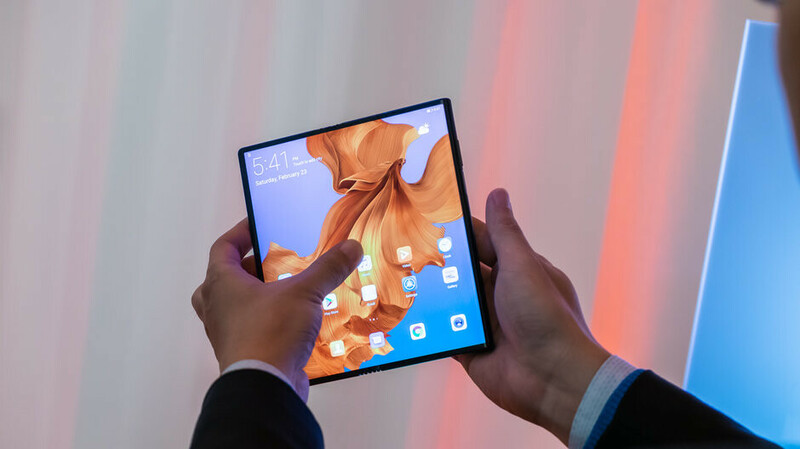 This device, as the company openly admits, is expensive but as foldable devices start to gain traction Huawei expects pricing to start falling. In fact, just two years' time, Huawei's foldable flagships will cost more than regular smartphones. , half of the smartphone giant's flagship offerings could sport foldable displays, with one of these being a compact device that is less than both the Huawei Mate X and Huawei P30 Pro. Obviously, foldable devices will become more important to Huawei in the years to come . The company does, however, recognize that not everyone will be interested in the new format and that will prefer traditional smartphones. This would suggest that regular devices, like the ones in our hands today, will be sticking around for quite some time and are under no threat at the moment.